Philanthropy Wins. Giving Back and Steps to Getting Involved. Philanthropy to me is very much in line with starting a credit card processing business. It is personal. I take pride in providing the best customer service available when it comes to my business. I also take pride in doing good for others. Not because it makes me look good, but because it is the right thing to do. 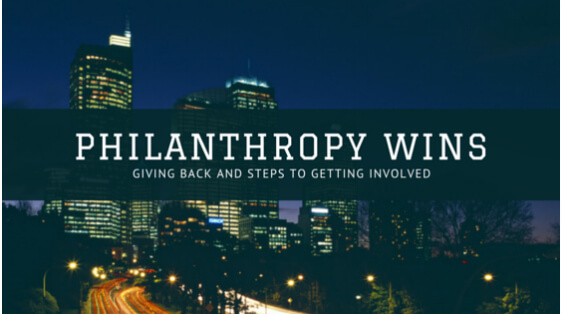 Just like a business venture, philanthropy is a challenge. A way to look at a problem and try and figure out the best way to solve it. I was never in the military, but I am determined to show appreciation for the men and women that have sacrificed so much for me to have my freedom. Serving on the board of The American Fallen Soldiers Project has been one of my greatest joys. This organization provides original portraits of those soldiers that have fallen to the families in an effort to give support and healing at what is a devastating time. Knowing that I am a part of something that is helping to comfort someone else is such a gift. Be a mentor, sponsor an event, or host a boy scout troop meeting. Find what it is you want to invest your time with and be a champion (or sponsor) for that particular cause. Volunteer for that 5K to fight obesity in children, make up food bags for the local homeless shelter, tutor children after school through a reading program. It is not all about the money, sometime time can be more valuable. This is the season for galas and fancy fundraisers. Putting your name on a program or hosting an event will open the door to showing those around you just where your passion lies. Do what you love, do it well, and give back. We have become a society that needs each other. Giving back will not only help others, but you might just find more joy in your own life.